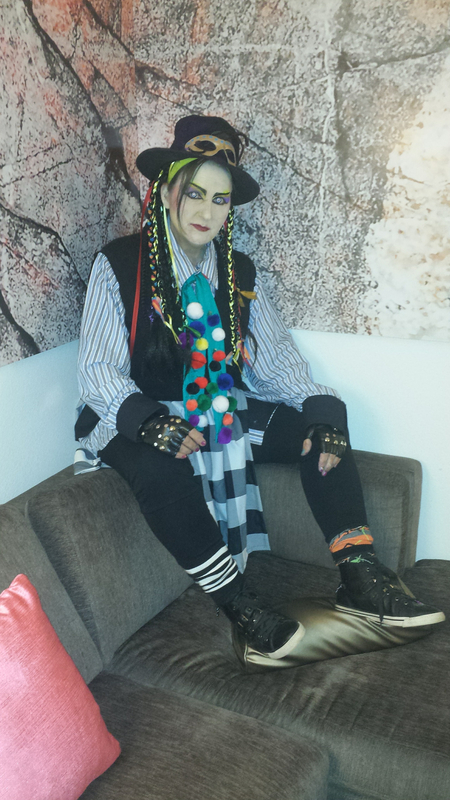 80s party costume. One of my first times using the airbrush. Proaiir makeup. Costume made from Goodwill, dumpster and clearance funds. I love to upcycle things. Even the hair is from a friend weave.